Minnie Julia Riperton-Rudolph (November 8, 1947 – July 12, 1979),   was an American singer-songwriter best known for her 1975 single "Lovin' You" and her four-octave coloratura soprano. She is also widely known for her use of the whistle register and has been referred to by the media as the "Queen of the whistle register". Born in 1947, Riperton grew up in Chicago's Bronzeville neighborhood on the South Side. As a child, she studied music, drama and dance at Chicago's Lincoln Center. In her teen years, she sang lead vocals for the Chicago-based girl group the Gems. Her early affiliation with the legendary Chicago-based Chess Records afforded her the opportunity to sing backup for various established artists such as Etta James, Fontella Bass, Ramsey Lewis, Bo Diddley, Chuck Berry and Muddy Waters. While at Chess, Riperton also sang lead for the experimental rock/soul group Rotary Connection, from 1967 to 1971. "Lovin' You" is a song recorded by American singer Minnie Riperton from her second studio album Perfect Angel (1974). It was written by Riperton and Richard Rudolph, produced by Rudolph and Stevie Wonder, and released as the album's fourth single on March 14, 1975. The whistle register is the highest register of the human voice, lying above the modal register and falsetto register. This register has a specific physiological production that is different from the other registers, and is so called because the timbre of the notes that are produced from this register is similar to that of a whistle. On April 5, 1975, Riperton reached the apex of her career with her No. 1 single "Lovin' You". The single was the last release from her 1974 gold album titled Perfect Angel . In January 1976, Riperton was diagnosed with breast cancer and, in April, she underwent a radical mastectomy. By the time of diagnosis, the cancer had metastasized and she was given about six months to live. Despite the grim prognosis, she continued recording and touring. She was one of the first celebrities to go public with her breast cancer diagnosis but did not disclose she was terminally ill. In 1977, she became a spokesperson for the American Cancer Society. In 1978, she received the American Cancer Society's Courage Award, which was presented to her at the White House by President Jimmy Carter. 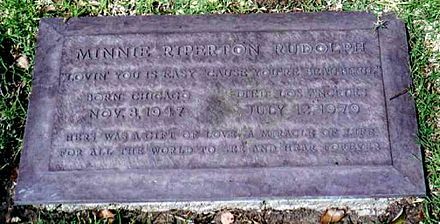 Riperton died of cancer on July 12, 1979 at age 31. Radical mastectomy is a surgical procedure involving the removal of breast, underlying chest muscle, and lymph nodes of the axilla as a treatment for breast cancer. Breast cancer is the most common cancer among women today, and is primarily treated by surgery, particularly during the early twentieth century when the mastectomy was developed with success. However, with the advancement of technology and surgical skills, the extent of mastectomies has been reduced. Less invasive mastectomies are employed today in comparison to those in the past. Nowadays, a combination of radiotherapy and breast conserving mastectomy are employed to optimize treatment. Riperton was born in Chicago, the daughter of Thelma Inez (née Matthews) (1911–2005) and Salleh Riperton (1899–1991), a Pullman porter. The youngest of eight children in a musical family, she embraced the arts early. Although she began with ballet and modern dance, her parents recognized her vocal and musical abilities and encouraged her to pursue music and voice. At Chicago's Lincoln Center, she received operatic vocal training from Marion Jeffery. She practiced breathing and phrasing, with particular emphasis on diction. Jeffery also trained Riperton to use her full range. While studying under Jeffery, she sang operettas and show tunes, in preparation for a career in opera. Jeffery was so convinced of her pupil's abilities that she strongly pushed her to further study the classics at Chicago's Junior Lyric Opera. The young Riperton was, however, becoming interested in soul, rhythm and blues, and rock. After graduating from Hyde Park High School (now Hyde Park Academy High School), she enrolled at Loop College and became a member of Zeta Phi Beta sorority. She dropped out of college to pursue her music career. Musical phrasing is the way a musician shapes a sequence of notes in a passage of music to allow expression, much like when speaking English a phrase may be written identically but may be spoken differently, and is named for the interpretation of small units of time known as phrases. A musician accomplishes this by interpreting the music—from memory or sheet music—by altering tone, tempo, dynamics, articulation, inflection, and other characteristics. Phrasing can emphasise a concept in the music or a message in the lyrics, or it can digress from the composer's intention, aspects of which are commonly indicated in musical notation called phrase marks or phrase markings. For example, accelerating the tempo or prolonging a note may add tension. Riperton's first professional singing engagement was with The Gems, when she was 15. Raynard Miner, a blind pianist, heard her singing during her stint with Hyde Park's A Cappella Choir and became her musical patron. The Gems had relatively limited commercial success, but proved to be a good outlet for Riperton's talent. Eventually the group became a session group known as Studio Three and it was during this period that they provided the backing vocals on the classic 1965 Fontella Bass hit "Rescue Me". In 1964, The Gems released a local hit, I Can't Help Myself, and their last single, He Makes Me Feel So Good, was released in 1965. The Gems later released records under numerous names—most notably 1966's Baby I Want You by the Girls Three and 1967's My Baby's Real by the Starlets. The latter has achieved cult status with northern soul fans and remains a favorite. It was a Motown-style song reminiscent of Tammi Terrell. In 1968, Watered Down was released as a follow-up, under the name The Starlets. It was the last release of Riperton's former girl group. While a part of Studio Three, Riperton met her mentor, producer Billy Davis, who wrote her first local hit, "Lonely Girl", as well as "You Gave Me Soul". In honor of Davis, she used the pseudonym Andrea Davis for the release of those two singles. Some months after her Andrea Davis singles hit radio, Riperton joined Rotary Connection, a funky rock-soul group creation of Marshall Chess, the son of Chess Records founder Leonard Chess. Rotary Connection consisted of Riperton, Chess, Judy Hauff, Sidney Barnes, and Charles Stepney. They released their debut in 1967 and, eventually, five more albums: 1968's Aladdin; the Christmas album Peace; Songs; and finally 1970's Dinner Music and Hey Love. In 1969 Riperton, along with Rotary Connection, played in the first Catholic Rock Mass at the Liturgical Conference National Convention, Milwaukee Arena, Milwaukee, WI, produced by James F. Colaianni. Fontella Marie Bass was an American R&B and soul singer and songwriter best known for her 1965 hit, "Rescue Me." 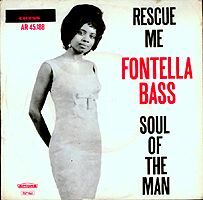 "Rescue Me" is a rhythm and blues song first recorded and released as a single by Fontella Bass in 1965. The original versions of the record, and BMI, give the songwriting credit to Raynard Miner and Carl William Smith, although many other sources also credit Bass herself as a co-writer. It would prove the biggest hit of Bass's career, reaching #1 on the R&B charts for four weeks and placing at #4 on the Billboard Hot 100. "Rescue Me" also peaked at number eleven on the UK Singles Chart. Ramsey Emmanuel Lewis Jr. is an American jazz composer, pianist and radio personality. Ramsey Lewis has recorded over 80 albums and has received five gold records and three Grammy Awards so far in his career. In 1973, a college intern for Epic Records found Riperton in semi-retirement. 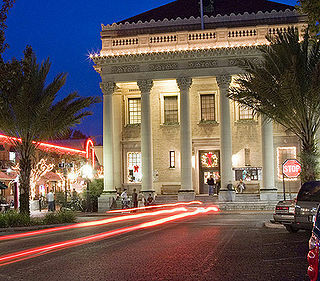 She had become a homemaker and a mother of two in Gainesville, Florida. After he heard a demo of the song "Seeing You This Way", the rep took the tape to Don Ellis, VP of A&R for Epic. Riperton signed with Epic Records, and the family moved to Los Angeles, California. The subsequent record, Perfect Angel , turned out to be one of Riperton's best-selling albums. Included were the rock-soul anthem "Reasons"; the second single, "Take a Little Trip" (written by Stevie Wonder, who also coproduced the album); and the third single, "Seeing You This Way". Sales of the album started out slow. 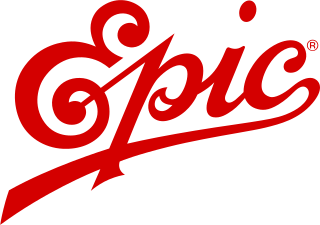 Epic was ready to move on to the next record, but Rudolph convinced them to release another single. With the fourth single, "Lovin' You", the album caught on, and in April 1975, the song went to the top of the charts in the U.S. and 24 other countries. The song reached no. 2 in the UK Singles Chart, and number three on the U.S. R&B charts. It sold more than one million copies, and was awarded a gold disc by the RIAA in April 1975. Perfect Angel went gold and Riperton was finally revered as the "lady with the high voice and flowers in her hair." The album also featured the song "Every Time He Comes Around", with Deniece Williams singing the background vocals. 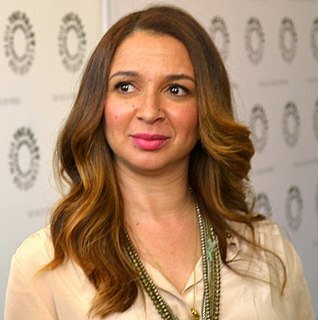 Riperton's daughter, Saturday Night Live actress Maya Rudolph, was a child when "Lovin' You" was recorded. According to the liner notes from Riperton's Petals compilation CD, the melody to "Lovin' You" was created as a distraction for Maya when she was a baby, so Riperton and Richard Rudolph could spend time together. Near the end of the unedited "Lovin' You", Riperton sings "Maya, Maya, Maya"; in concert, near her death, she changed this to "Maya, Maya, Ringo, Maya." Ringo was her nickname for her son, Marc. Her fourth album for Epic Records, titled Stay in Love , featured another collaboration with Stevie Wonder in the funky disco tune "Stick Together". She also sang backup on Wonder's songs "Creepin'" from 1974's Fullfillingness' First Finale and "Ordinary Pain" from 1976's Songs in the Key of Life and was mentioned prominently in his song "Positivity" on A Time to Love . In 1977, Riperton lent her vocal abilities to a track named, "Yesterday and Karma", on Osamu Kitajima's album, "Osamu". In 1978, Riperton's attorney Mike Rosenfeld and her husband, Richard Rudolph, orchestrated a move to Capitol Records for Riperton and her CBS Records catalog. 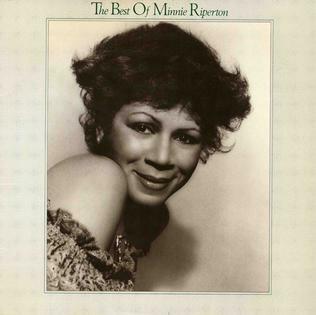 In April 1979, Riperton released her fifth and final album, Minnie . During the recording of the album, her cancer progressed to the point that she was in a great deal of pain. "Memory Lane" was a hit from the album. Riperton incorporated the sadness of the ending of a relationship while suddenly shifting to cries of "I don't want to go," "save me," "now I'm slippin' fast," "thought it was over; here I go again," and "travelin' down, faster than the speed of sound." It is thought that "Memory Lane" was her farewell to her family and to the world. Her last televised performance was on an episode of The Merv Griffin Show (aired July 6, 1979), during which she performed Memory Lane and Lover and Friend. Riperton revealed on The Tonight Show on August 24, 1976, that she had undergone a mastectomy due to breast cancer. At the time of her diagnosis, Riperton found out her cancer had already spread to the lymphatic system, and was given about six months to live. She continued touring in 1977 and 1978, and became the national spokeswoman for the American Cancer Society's 1978–79 campaign. Extreme lymphedema immobilized her right arm in early 1979. In her final singing appearances on television (most notably on the Mike Douglas Show ), her right arm remained in a fixed position during her performances. By mid-June, she was confined to bed. She entered Cedars-Sinai Medical Center in Los Angeles on July 10. On Thursday, July 12 at 10 am, while lying in her husband's arms, Riperton died while listening to a recording that Stevie Wonder had made for her. That Sunday, following a funeral service attended by more than five hundred mourners, Riperton was interred in the Westwood Village Memorial Park Cemetery in Los Angeles. Her epitaph is the opening line of her most famous song: "Lovin' you is easy 'cause you're beautiful." Riperton had a coloratura soprano vocal range. Aside from her various hits, she is perhaps best remembered today for her ability to sing in high head voice (occasionally the whistle register which is often mistakenly mixed up with the former), in which she had rare facility. She is known as The Nightingale, and a Songbird. Her rare ability to enunciate in the high registers set her apart from most other whistle-register singers. This feature is most notably heard in the song "Here We Go" (a duet with Peabo Bryson),  where she sings "here we go" in the whistle register. Whistle-register enunciation can also be heard in songs such as "Inside My Love," "Adventures in Paradise," "Expecting," "Only When I'm Dreaming," and also in "Teach Me How to Fly" and "Like a Rolling Stone" with the Rotary Connection. Singer Kate Bush referenced Riperton ("Hello Minnie") in a lyric of "Blow Away", a track on her 1980 album Never for Ever . The song also references several other musicians who had recently died. Hip-hop trio Salt-N-Pepa included an illustration of a spiritual Riperton alongside Billie Holiday, Jimi Hendrix, and Louis Armstrong on the cover of their 1990 album Blacks' Magic . Syreeta Wright, who recorded professionally under the single name Syreeta, was an American singer-songwriter, best known for her music during the early-1970s through the early-1980s. Wright's career heights were songs involved with her ex-husband Stevie Wonder and musical artist Billy Preston. Katrina Broussard is an R&B singer and songwriter. Trina Broussard began her career in 1997 when she covered Minnie Riperton's song "Inside My Love". A year later in 1998, Broussard signed a recording contract with Jermaine Dupri's label So So Def, leaving later after her first album was stalled. Dana Nicole Amma Williams, is known professionally as YahZarah, is a Ghanaian American singer and music producer. She is known for radio hits "Wishing" and "Why Dontcha Call Me No More". In 1997, she began her career as a background singer for Erykah Badu. Charles Stepney was an American record producer, arranger, songwriter and musician. Stepney is noted for his work with artistes such as The Dells, Ramsey Lewis, Rotary Connection and Earth, Wind & Fire. 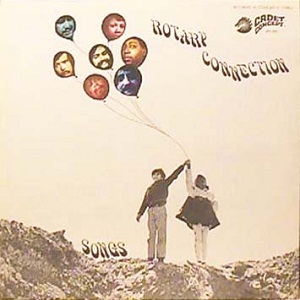 Songs is the fourth album by the American psychedelic soul group Rotary Connection issued in September 1969 on Cadet Records. Kimiko Kasai is a retired Japanese jazz singer. She is now a jewelry designer. ↑ Patricia Romanowski, Holly George-Warren (September 2001). The Rolling Stone Encyclopedia Of Rock & Roll (Paperback ed.). Fireside Books. p. 825. ISBN 0-7432-0120-5. ↑ Ankeny, Jason. "Minnie Riperton - Biography". allmusic.com. The RhythmOne Group. Retrieved 2018-04-21. ↑ Jones, Jackie. "20 People Who Changed Black Music: Operatic Angel Minnie Riperton, the Voice of Perfection". Miami Herald. Retrieved 2018-04-21. 1 2 3 4 5 6 7 8 9 10 11 12 "Unsung: The Minnie Riperton Story". Unsung: The Minnie Riperton Story. June 7, 2009. Cable Network=TV-ONE. ↑ "California Death Index, 1940-1997 [database on-line]". The Generations Network. 2000. Retrieved 2009-10-06. ↑ Chick, Stevie (29 June 2016). "Minnie Riperton – 10 of the best". Guardian.com. Retrieved 12 December 2017. ↑ Rockwell, John (May 11, 1977). "Minnie Riperton: The octave lady composes songs, too". Wilmington Morning Star . p. 7. Retrieved March 26, 2019. I had a mastectomy the day after Easter last year. ↑ Company, Johnson Publishing (1 October 1979). "Ebony". Johnson Publishing Company. Retrieved 28 July 2017– via Google Books. 1 2 Apple Inc. (October 22, 1977). "Love Lives Forever - Minnie Riperton" . Retrieved May 22, 2017. ↑ "J. Cole - Everybody Dies on WhoSampled". WhoSampled . Retrieved July 7, 2017. ↑ "SoulMusic.com". SoulMusic.com. Archived from the original on 2012-03-22. Retrieved 2014-04-19. ↑ Carey, Mariah (November 1998). "Higher and Higher". Vibe (Interview). Interviewed by Danyel Smith. Retrieved March 14, 2017. ↑ "A Tribue to Minnie Riperton with Stevie Wonder and Wintley Phipps". Soul Train . Season 9. Episode 1. September 15, 1979. 1 2 3 4 "US Charts > Minnie Riperton". AllMusic . Retrieved 2011-12-03. 1 2 "CAN Charts > Minnie Riperton". RPM . Retrieved 2014-01-25. 1 2 "Minnie Riperton". officialcharts.com. ↑ "US Certifications > Minnie Riperton". Recording Industry Association of America . Retrieved 2012-10-21. 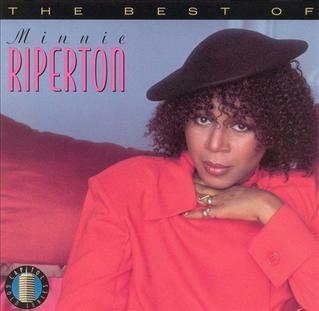 ↑ "Minnie Riperton (Hot 100)". billboard.com. ↑ "Minnie Riperton (Hot Soul Songs)". billboard.com. 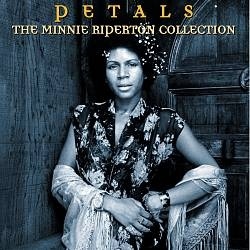 ↑ "Minnie Riperton (Adult Contemporary Songs)". billboard.com. ↑ "Minnie Riperton (Dance Club Songs)". billboard.com.